Plastic was found in the gut of every single turtle examined in a new study spanning the Atlantic, Pacific and the Mediterranean. 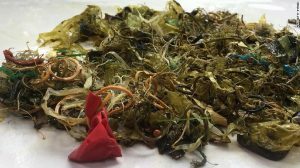 (CNN) Plastic was found in the gut of every single sea turtle examined in a new study, casting fresh light on the scale of plastic pollution in the world’s oceans. The research, published in the journal Global Change Biology, examined more than 100 sea turtles of all seven species, across the Atlantic, Pacific and Mediterranean. More than 800 synthetic particles were found in the turtles and researchers warned that the true number of particles was probably 20 times higher, as only a part of each animal’s gut was tested. “The ubiquity of the presence of the particles and fibers underlines the gravity of the situation in the oceans and our need to proceed with firm and decisive action on the misuse of plastics,” senior study author Brendan Godley, professor of conservation science at the University of Exeter, told CNN in an email. The researchers carried out their research by conducting necropsies — animal autopsies — on turtles that had died either by stranding or by being accidentally caught by fishermen. The study sites were in North Carolina, Northern Cyprus and Queensland, Australia. Synthetic particles were found in all the animals, and the most common sources of these materials were tires, cigarettes, clothing and marine equipment, including ropes and fishing nets. “This study provides more evidence that we all need to help reduce the amount of plastic waste released to our seas and maintain clean, healthy and productive oceans for future generations,” added Pennie Lindeque, senior scientist at the Plymouth Marine Laboratory, in an email. 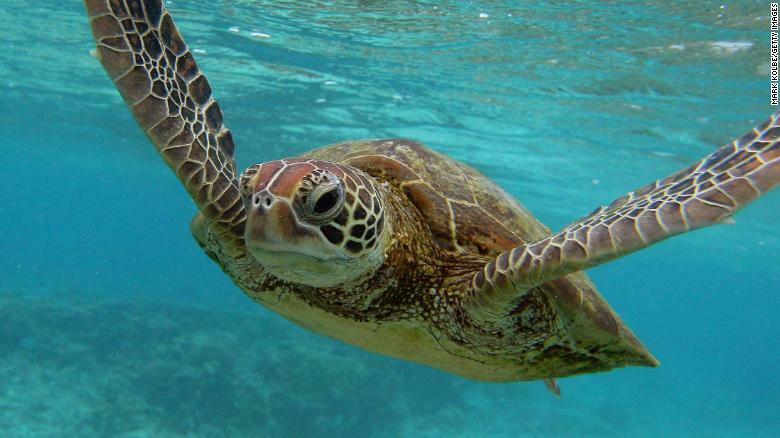 Lead author Emily Duncan, of the University of Exeter’s Centre for Ecology and Conservation, noted that the effects of particle ingestion on turtles are unknown, as microplastics can typically pass through the animals’ guts without causing blockages. It is also not currently understood how the turtles ingest the synthetic particles, added Duncan. However, she said, further research would be required to determine the subtler effects of microplastic ingestion on aquatic organisms, including the transfer of viruses. “They may possibly carry contaminants, bacteria or viruses, or they may affect the turtle at a cellular or subcellular level,” she said. The highest rate of contamination was found in the Mediterranean, but the researchers acknowledged that the study’s sample sizes and methodology did not allow for detailed geographical comparisons. It is currently estimated that between 4.8 million and 12.7 million tons of plastic waste could be entering the world’s oceans every year, which is contributing to an estimated five trillion pieces of plastic in surface waters, the study says.